Interesting, isn't it, when all the claims about Russia turn out to be possible for Israel, no one wants to talk about it. 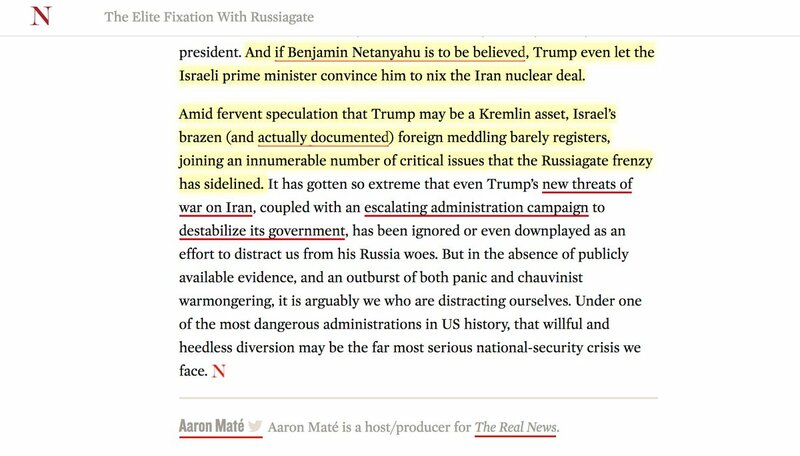 1) Russiagate propagandists, especially those who parrot the bipartisan foreign policy consensus (so all of them, basically) have faced a quandary for the past year: how to deal w/ fact that only documented "collusion" between Trump camp and a foreign power is w/ Israel? 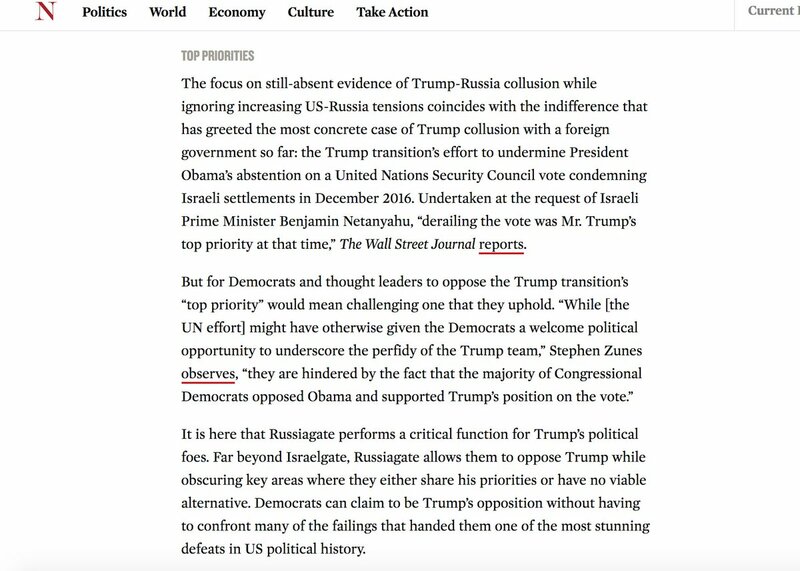 3) So for Russiagate propagandists, the response has been to ignore (confirmed) IsraelGate story, in contrast t daily obsessions about (speculative) Russiagate story (in pic below, linked articles/groups are all actually about Russia). 4) Now @Maddow finally covers it, w/ this new story on Israeli firm. But check how. Repeatedly, the firm is merely a "*foreign* intelligence firm." She can’t bring herself to say the word "Israeli." It's just "foreign." She can name another (un-involved) country tho: Russia! Let's hear the US Congress go on about Israel now, attacking it the way they did Russia. Wednesday, October 10, 2018. They keep selling and re-selling the war. Andrew Scott may be the most out of touch of all observers. 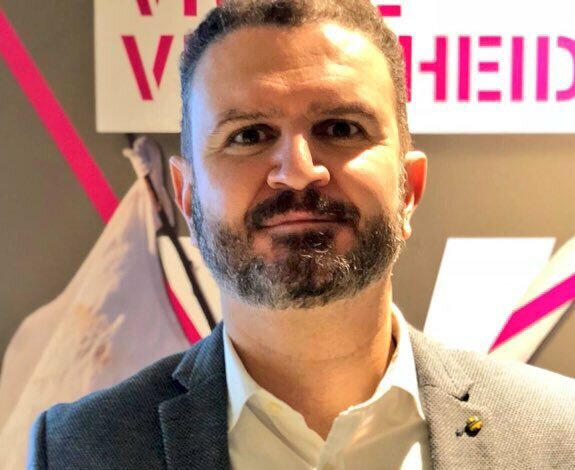 At THE NATIONAL, he writes, "The election of Iraq's new Prime Minister Designate, Adel Abdul Mahdi, has given Iraqis and international observers a cautiously optimistic view of the country's future." You've got the LGBTQ community in Iraq again under attack . 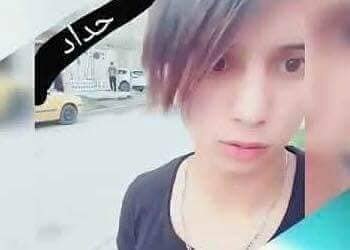 . .
#حمودي_المطيري “I want to see my mother” those were his last words, an innocent kid who was killed just because he was suspected to be gay, sure because in Iraq being gay/different is a crime but killing people just because they are different than us is not!! Absolutely sickening. 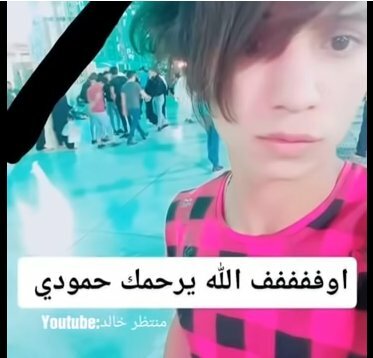 In Iraq, 15 yr old Mahmoud al Mutairi was mutilated & murdered because he was suspected of being gay, trans, emo. Killed for his appearance, clothing & behaviour. 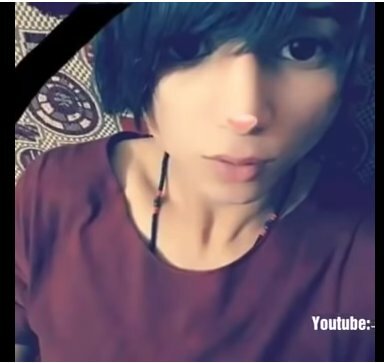 A horrific video of his final moments exists; his final words are "I want to see my mother".
. . . you've got a string of murders taking place where the victims are women and they're being killed for being seen as 'independent' . . .
. . . you've got the protests in Basra and that's just the top of list. But Scott's seeing bright skies and rainbows in Iraq. 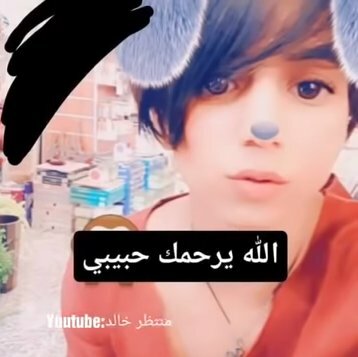 A former Miss Iraq beauty queen has fled the country after receiving death threats, which followed a spate of killings of high-profile women. Shimaa Qasim Abdulrahman, who was awarded the crown in 2015, said she has left for Jordan after receiving a message from a man purporting to be an Islamic State of Iraq and the Levant (Isil) member reading “you’re next”. AP adds, "It is not clear whether the deaths are connected, however they have followed a pattern of targeting women promoting female empowerment and tend to fall on a Thursday. The violence has shocked Iraq, raising fears of a return to the kind of attacks on prominent figures that plagued the country at the height of its sectarian strife." Bel Trew (INDEPENDENT) reports on Iraq's water shortage -- which impacts so much in Iraq. Farmers had to cut back or stop farming. Ghastly photos emerged all summer of Iraqi livestock near death. The marshes are drying up and whole communities have lived in these areas. This is only going to get worse. "Another wave of persecution will be the end of Christianity after 2,000 years," he said in the 5 October interview in St. Columba's Church. The problems are immense. Yet the western press can't stop spinning. Why? Because this is part of selling the Iraq War. Remember, I've called out Hayder al-Abadi. The western press has written one poor-Hayder article after another in the last four weeks. They think he was wonderful. Well if he was wonderful, how is changing prime ministers going to change anything? There's no indication that it wil. It may. Mahdi may end up being a great prime minister. But that's not what this is about. The presidency of Iraq is a ceremonial role but before the rush to praise Mahdi, the same western press was raving over Barham Saleh. It's about selling the continued war and the continued occupation. Papa John's is crappy pizza. It's oily and doughy and the crust is four times as much the pizza as any toppings. Firing this person (the president of the company?) didn't change the lousy pizza. But it did result in a bunch of press about how Papa John's was getting back on track. That wasn't reality and it wasn't news. It was selling Papa John's -- a hideous company that should have closed long ago. And now? We see that as the stocks increase with the rumors that its about to be bought out. Papa John's press was about stringing people along. The same way the press about Iraq's prime minister-designate -- he's not been declared the new prime minister yet -- is about selling the continued occupation of Iraq and the continued war on Iraq. :Iraq’s Prime Minister-Designate Adel Abdul-Mahdi received Iran’s Ambassador to Baghdad Iraj Masjedi on Tuesday, 24 hours after Abdul-Mahdi said in a statement that he will not receive officials from diplomatic missions and embassies. In a statement on Monday, Abdul-Mahdi said he will not receive the heads and top officials of diplomatic missions while forming the cabinet, except for very special cases such as the representative of the UN secretary general. His statement added that diplomatic missions can convey messages to him via the ministry of foreign affairs or the cabinet’s general secretariat or his office or via e-mail and the phone. News that Abdul-Mahdi received the Iranian envoy was posted on Abdul-Mahdi’s Facebook page and it sparked sarcasm with many commenting that the prime minister-designate could not keep a promise that he just made 24 hours ago. Not being able to keep your word? Especially this early? That's not reassuring. Moving over to the Kurdistan region. Promises from the British ambassador? That means nothing. The reality is explained below. 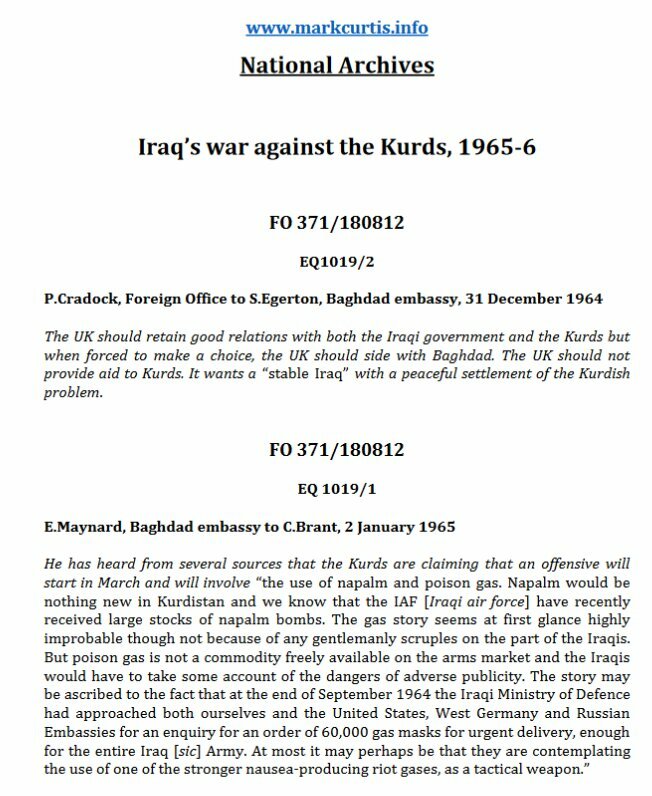 The governments of the UK and the US do not support the Kurds. They give limited assistance and lots of promises but repeatedly stab the Kurds in the back and actively work to undercut efforts at Kurdish independence. Later this month in D.C., many will declare their independence from the War Machine and their solidarity with humanity by taking part on the March on the Pentagon actions. Why do women support @Wikileaks & @JulianAssange? Because theyre tired of the #War4Profit killing machine! And @Wikileaks stops these wars with truth! Why my son is persecuted! Join Womens March on the Pentagon Oct 21st Paint FREE ASSANGE on the back of your anti-war sign! Great opportunity for @Wikileaks & #Assange supporters! Womens March on The Pentagon -October 21st! Julian brutally politically persecuted, detained 8 yrs without charge for exposing US war crimes/corruption! Download/Print off #FreeAssange banners from my pinned tweet!